The E-committee of the Supreme Court on Tuesday launched several mobile applications for the benefit of litigants and lawyers. The event saw launch of apps for services such as e-filing along with user manual, e-payment options, National Service and Tracking of Electronic Processes (NTSEP), Supreme Court Legal Services Committee (SCLSC), and awareness guide for services offered under the e-Courts program. The apps were inaugurated by Chief Justice of India Dipak Misra, who called everybody present at the occasion “captains of technology”, and asserted that captains never lose a battle. He also pondered upon the usage of the term “digital inclusion”, and said that to him, it means serving the entire citizenry of the country by digitally connecting them. Besides, he laid emphasis on the need for making litigants feel comfortable in courtrooms. 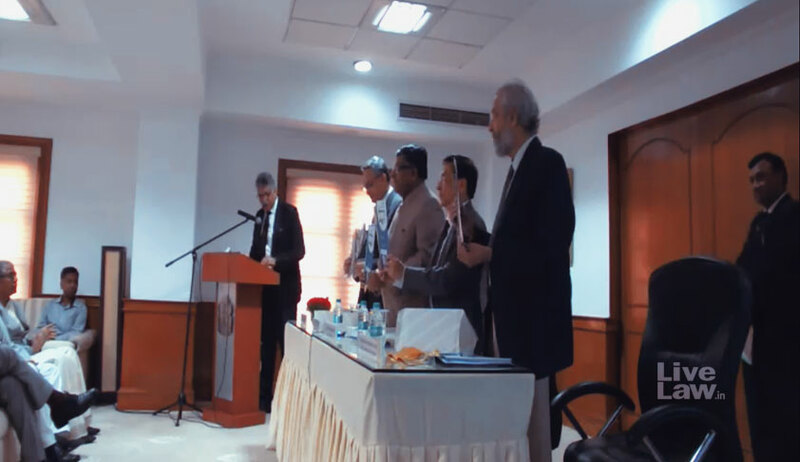 Speaking at the occasion, Justice MB Lokur termed the apps “futuristic”, and explained their functionality one by one. He informed the gathering that the e-filing app allows filing of cases electronically, through every district court in the country. With regard to the National Service and Tracking of Electronic Processes (NTSEP), he said that as many as 25 to 30% of the total cases pending in the country are due to pendency of service. With this app, he said, summons will now be available on mobile phones, making the process smoother. Besides, he lauded the fact that the entire e-courts project has been on free open source software, saving more than Rs. 1,670 crore for the public exchequer. He, however, emphasised on the need for greater internet connectivity, highlighting the fact that cloud computing is entirely dependent on efficient connectivity. Responding to the concern, Law Minister Ravi Shankar Prasad assured Justice Lokur that the connectivity speed will soon be increased from the present 2 Mbps to 10 Mbps.